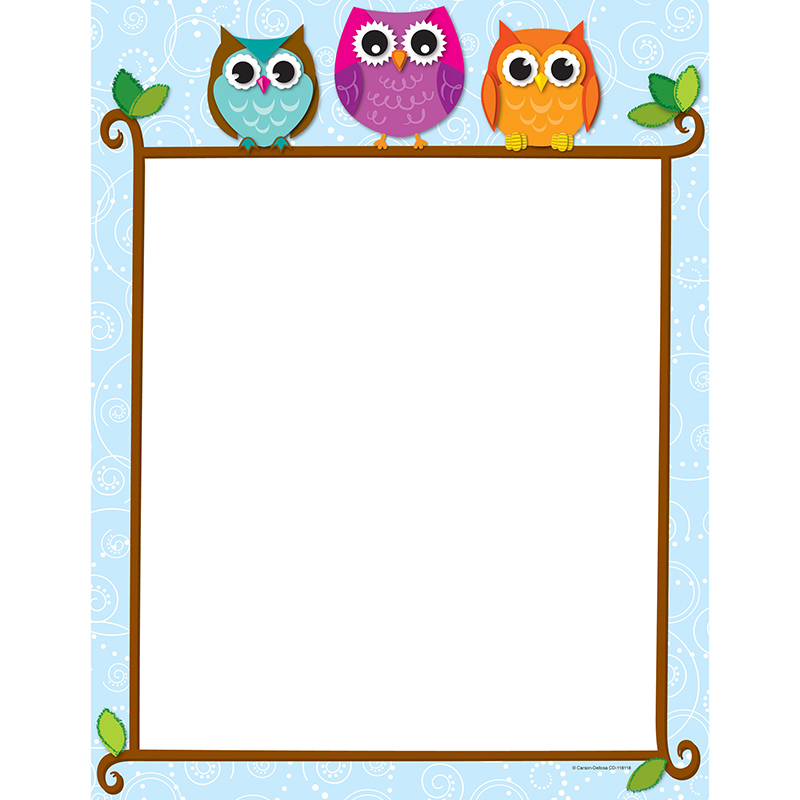 Use this adorable and delightful Colorful Owls on a Branch design to promote your classroom theme! So many uses to liven up projects, writing assignments, class newsletters and more! Add style to personalized awards, letters and lists--the possibilities are endless! Look for coordinating products in this design to create this popular classroom theme! Comes in 50 sheets per pack.